This comic comes to you just after dinner. A bit later than I’d like, but I didn’t think I’d get to do one at all. Been busy at the ol’ day job. Maybe someday I’ll get to enjoy the perks presented in this one. See ya tomorrow! 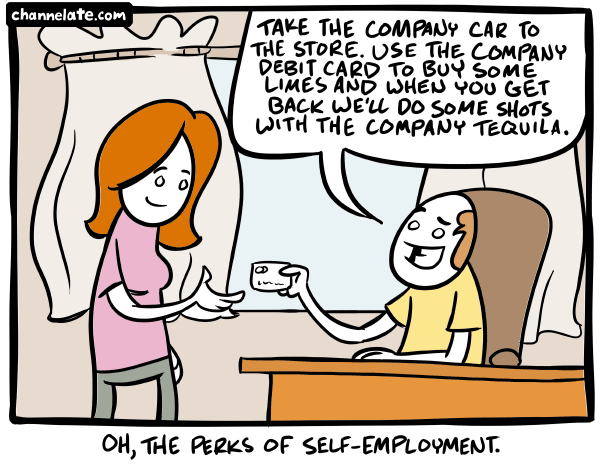 Company tequila. Doesn’t sound like a bad idea. Every job should be like this.. at least on Fridays!